An Ohio woman paralyzed from the chest down is attempting to hike the full length of the Appalachian Trail–alone. So far she seems to be making pretty good time. Last week we wrote about how you can send emails to hundreds of trees around Knoxville. This week city officials made an official announcement about how (and why) you can email so many of your leafy neighbors. Their reasoning is a little less tongue-and-cheek (leaf-and-bark?) than ours. The Oak Ridge National Laboratory is now part of President Barrack Obama’s beat cancer program. That’s kind of ironic considering the number of ORNL employees who contracted cancer after being exposed to radiation on the job. Starting Nov. 17 you’ll be able to fly directly from Knoxville to New York City via Allegiant–well, almost. Flights will touch down at Newark Liberty International Airport, which is technically in New Jersey. Will grocery store wine be cheaper than liquor store wine? No, probably not. But wine! Bigots in pointy hats are trying to make a comeback. 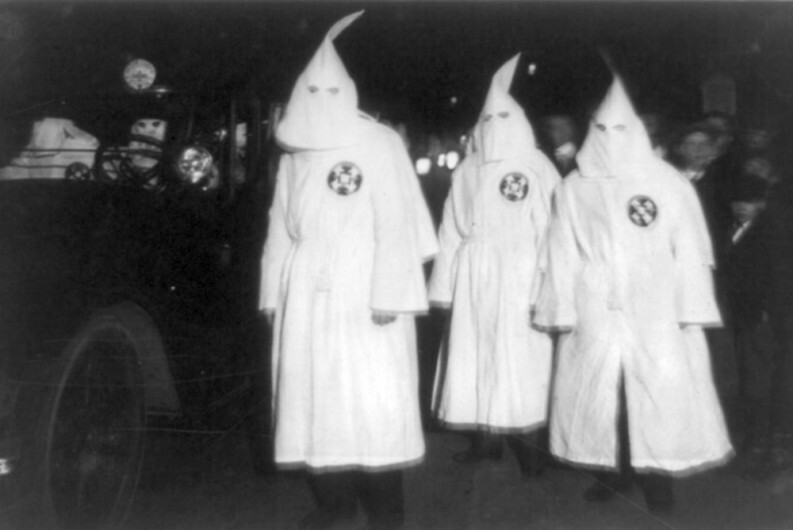 The Ku Klux Klan is pushing to for a resurgence 150 years after its founding (and locally the number of KKK and other hate groups has risen, according to the Southern Poverty Law Center’s Hate Map).